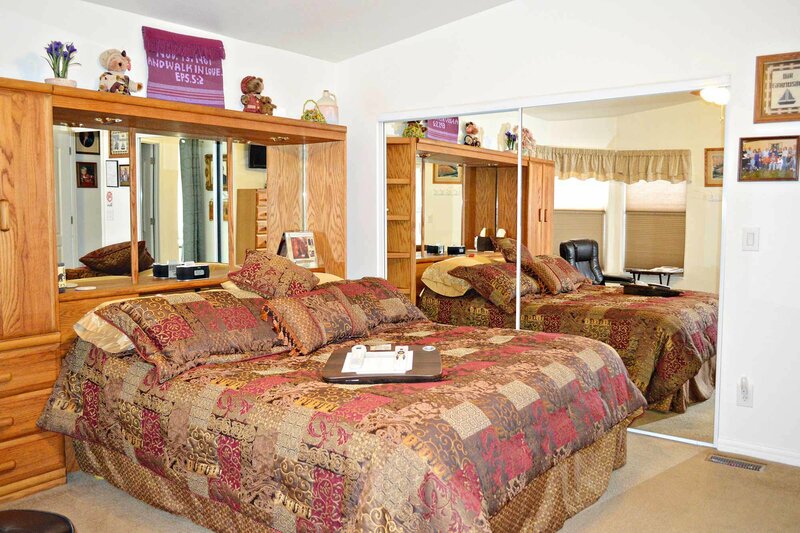 Our Master King Room 2 has a Select Comfort King Size bed. If you know your sleep number, that's perfect. If not, you will when you leave. 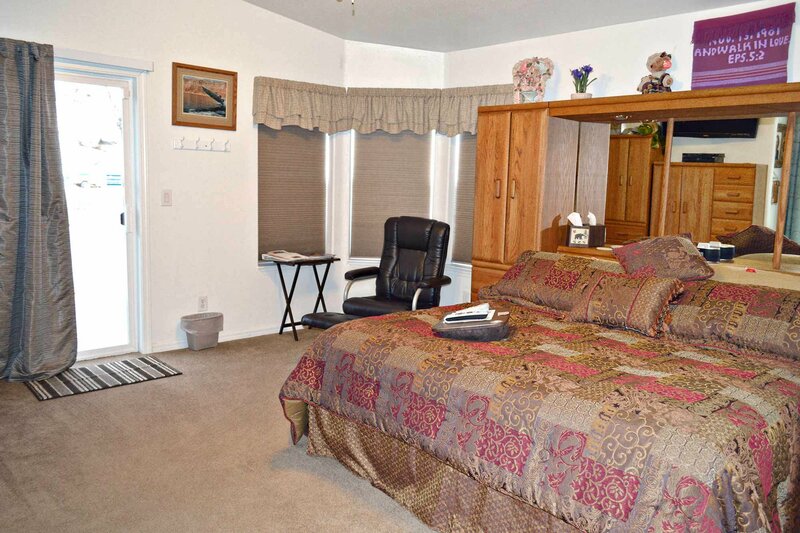 It is equipped with all the amenities you will need to make your stay both relaxing and enjoyable. 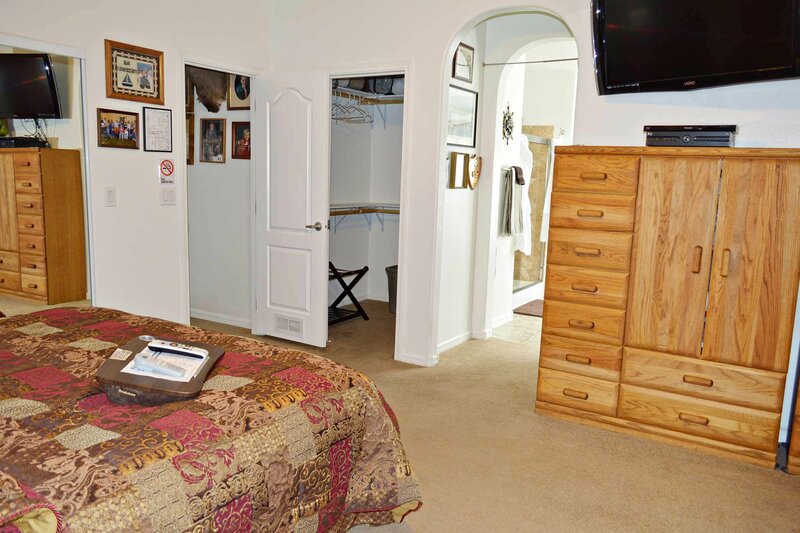 Your room has a 46"-inch flat screen TV with DirecTV Satellite that provides Arizona Local Channels. 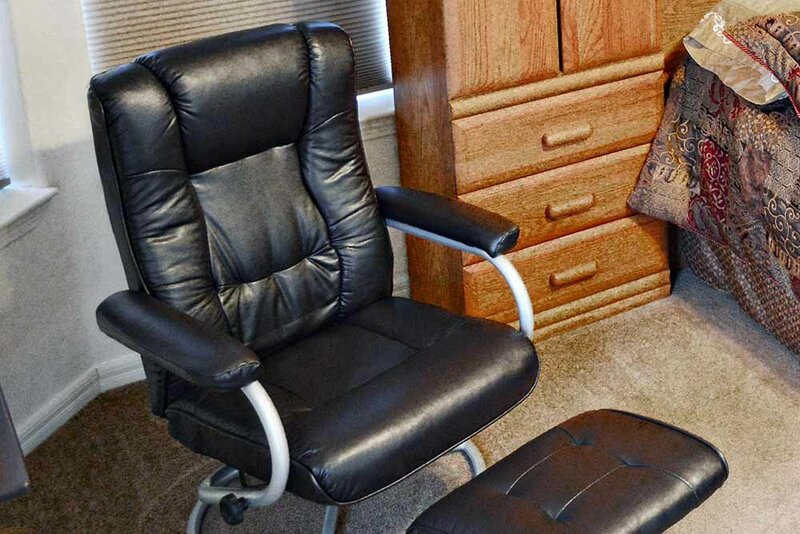 A DVD Player, a ceiling fan and light, a relaxing chair and foot stool, an iPhone (4S or Lower) docking station Alarm Clock, a lap top computer lap table, and an iron and ironing board are also available. 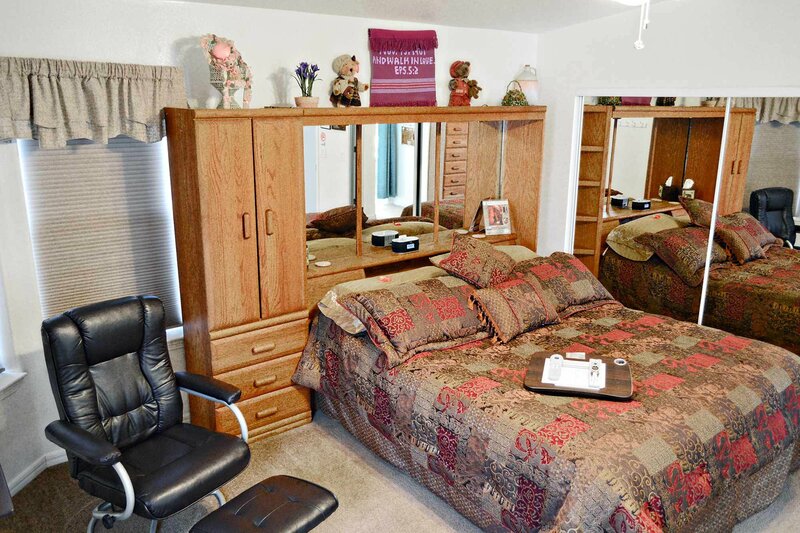 The 600+ sheet count bedding is wonderful, with 4 Large King Size pillows, a headboard mirror, and a dresser and side storage drawers with plenty of space for your belongings. 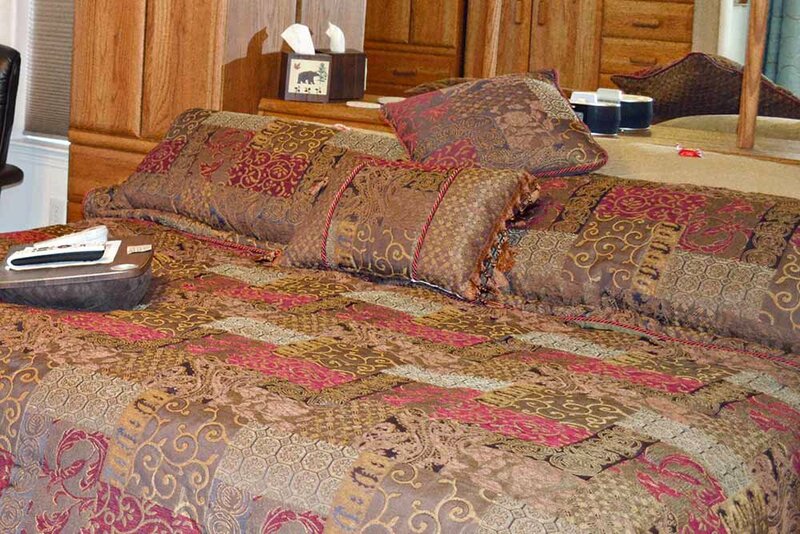 In addition, two large-sheet bath towels are provided to use with our 7 person Master Spa hot tub. Don’t forget to bring your swim suits! Your room has its own parking drive-way and private entrance to your room. 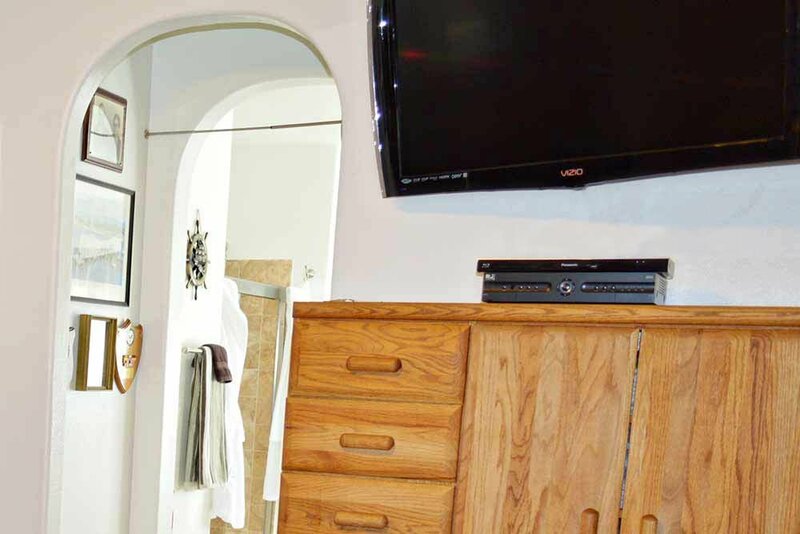 Your 140 square feet "En-suite" Master bath has a large garden tub, a large, walk-in shower, two separate sink areas, a hair dryer, large bath towels, a private toilet area, a refrigerator/freezer, a microwave and a coffee-maker.